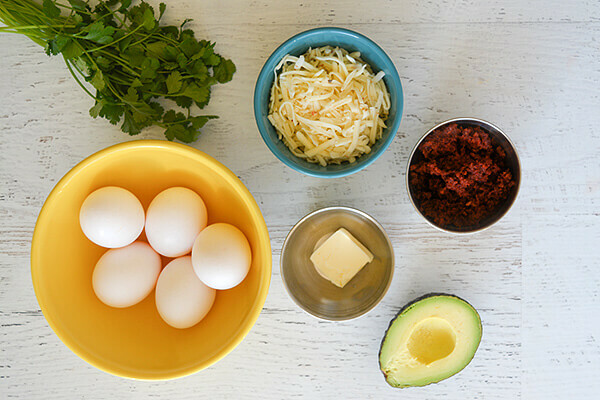 Eggs are one of the easiest keto breakfast foods. They’re quick to prepare, have well-portioned macronutrients, and you can easily add fat to them to help keep you full. I tend to eat fried eggs nearly every day, but sometimes I want something a bit more flavorful on my plate. Chorizo is a well-seasoned pork sausage that is much looser than traditional sausage. It’s packed with smoky and spicy flavor that goes well with a variety of food. One of the best things about it is it takes less than 10 minutes to fully cook, which makes it a great component of this simple dish. 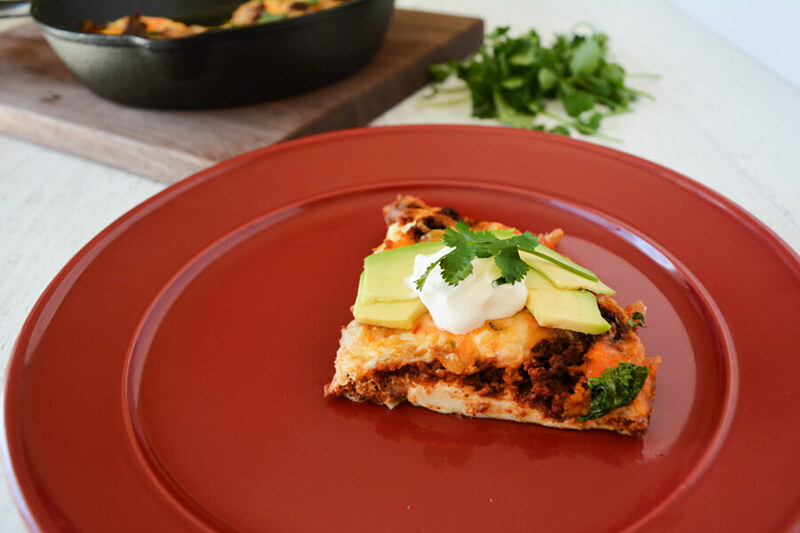 The chorizo gives the baked eggs a zesty flavor which is contrasted with the brightness of the sour cream and cilantro. If you want your baked eggs extra spicy, you may consider adding a sprinkle of red pepper flakes or dash of hot sauce. I used a cast iron for this dish, but any oven-safe skillet or baking dish will do. You can easily double this recipe to make for a crowd, but you may need to add a few extra minutes of cooking time, depending on your preference. *This can be made in any oven-safe skillet or baking dish. 1. Preheat oven to 400F. Place a pan over medium heat then remove the casing from the chorizo. 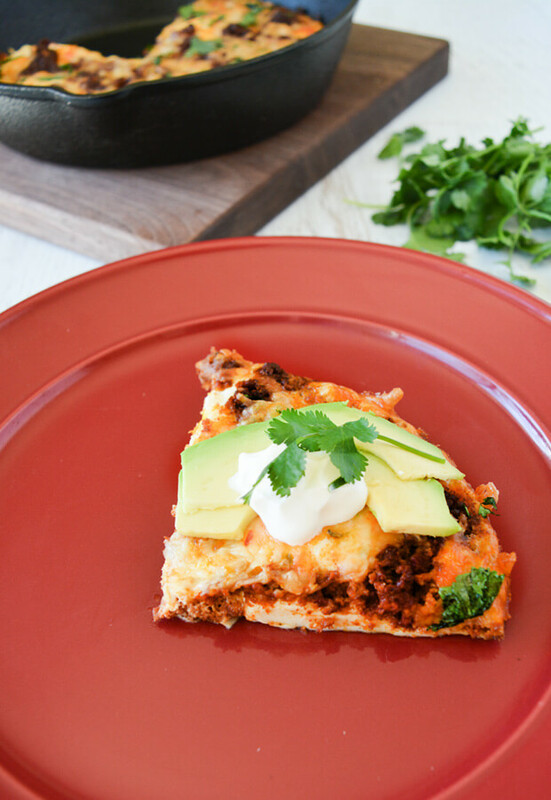 Add the chorizo to an oven-safe skillet and fry for 7-10 minutes or until fully cooked. Drain well, set aside. 2. 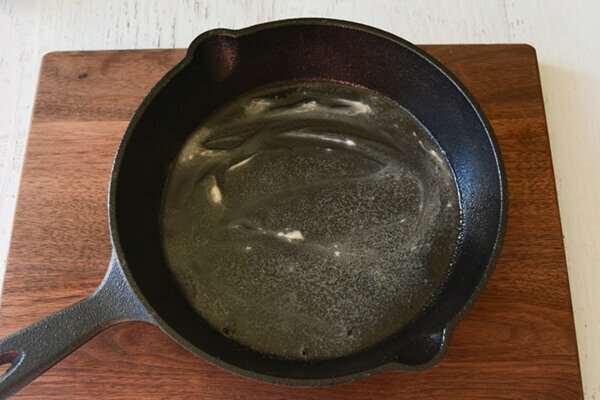 Place a cast iron skillet over medium heat and add the butter. Let it melt then remove the pan from the heat, and place on top of a towel or oven mitt. Alternatively, melt butter in a microwave and pour into the skillet. Make sure the inside of the pan is evenly coated with butter. 3. 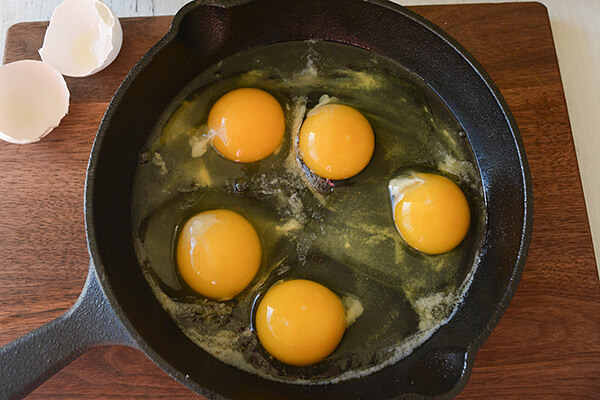 Crack eggs open directly into the pan. Sprinkle with salt and pepper. 4. 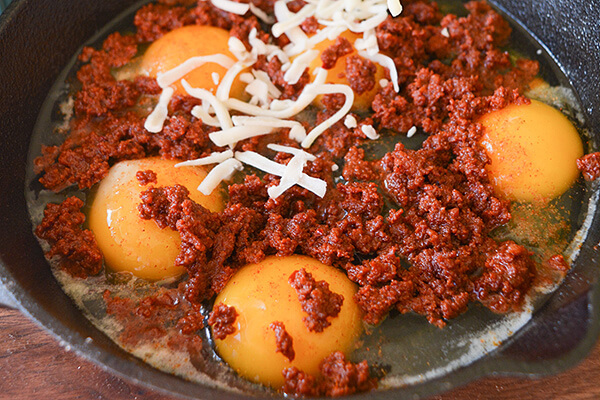 Place several dollops of chorizo on top of the eggs. 5. Sprinkle cheese evenly on top of the dish then bake. 6. Bake for 15-20 minutes, or until cheese is bubbling. If you like runnier yolks in your eggs, bake them for less time. Serve warm with the avocado, sour cream, and garnished with cilantro if desired. This makes a total of 4 servings of Chorizo Baked Eggs. Each serving comes out to be 321 Calories, 27.31g Fats, 2.02g Net Carbs, and 15.57g Protein. Preheat oven to 400F. Place a pan over medium heat then remove the casing from the chorizo. 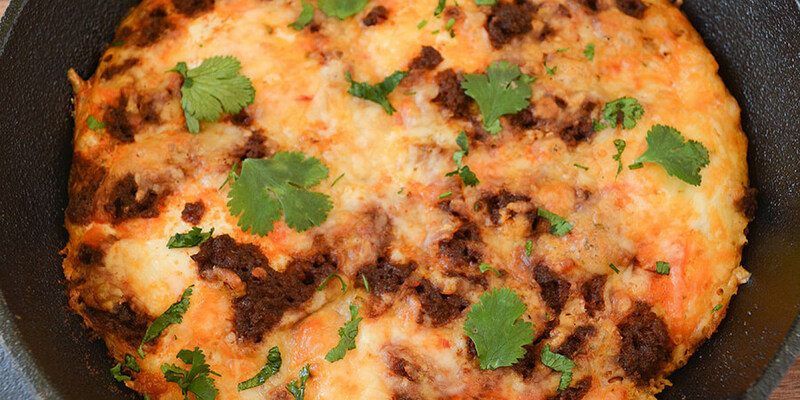 Add the chorizo to an oven-safe skillet and fry for 7-10 minutes or until fully cooked. Drain well, set aside. Place a cast iron skillet over medium heat and add the butter. Let it melt then remove the pan from the heat, and place on top of a towel or oven mitt. Alternatively, melt butter in a microwave and pour into the skillet. Make sure the inside of the pan is evenly coated with butter. Crack eggs open directly into the pan. Sprinkle with salt and pepper. 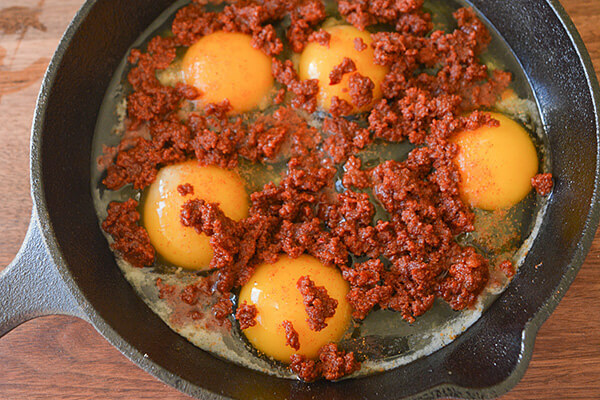 Place several dollops of chorizo on top of the eggs. Sprinkle cheese evenly on top of the dish then bake. Bake for 15-20 minutes, or until cheese is bubbling. If you like runnier yolks in your eggs, bake them for less time. Serve warm with the avocado, sour cream, and garnished with cilantro if desired. Previous: What’s a Keto Blood Test And Do You Need One To Succeed?